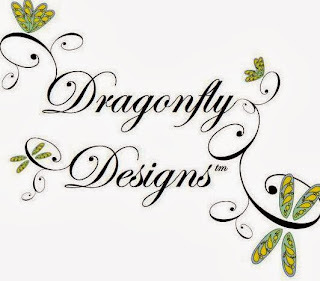 I admire this project from Montana's Pearson Design Group. 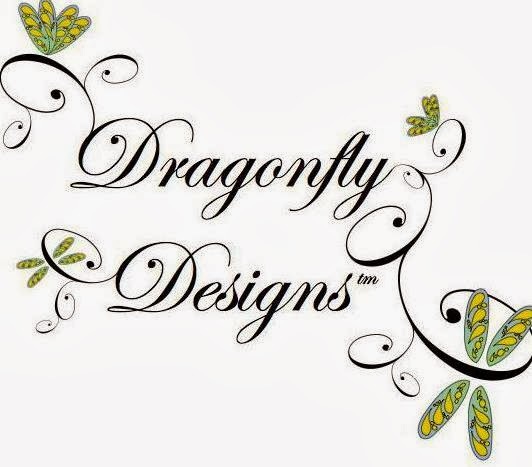 In looking at their web-site, I see that they often use muted soft and grayed colors that contrast with the hard stone and wood surfaces that come with mountain design projects. 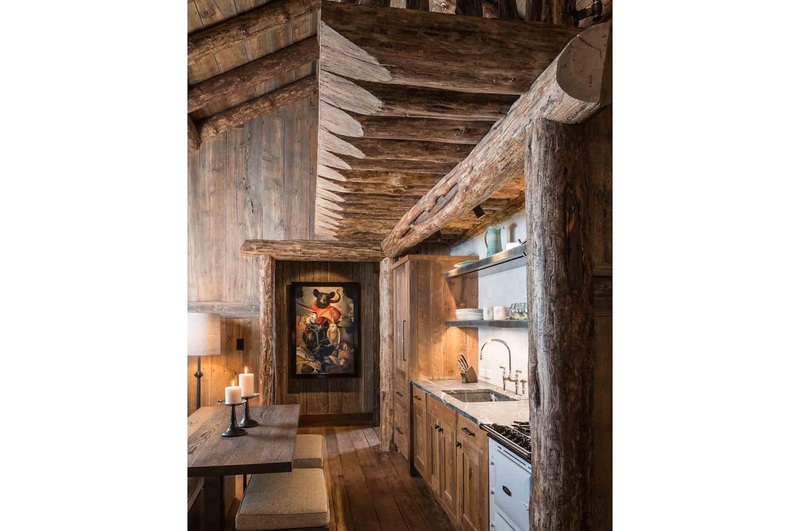 Below, you see just how much wood and stone can be found in many mountain rooms. Although these are beautiful, natural materials, they can create dark and "hard" interiors that are only lightened and brightened with the designer's smart use of contrast. In this project, contrast is created with the selection of modern furniture, lighting and accessories. 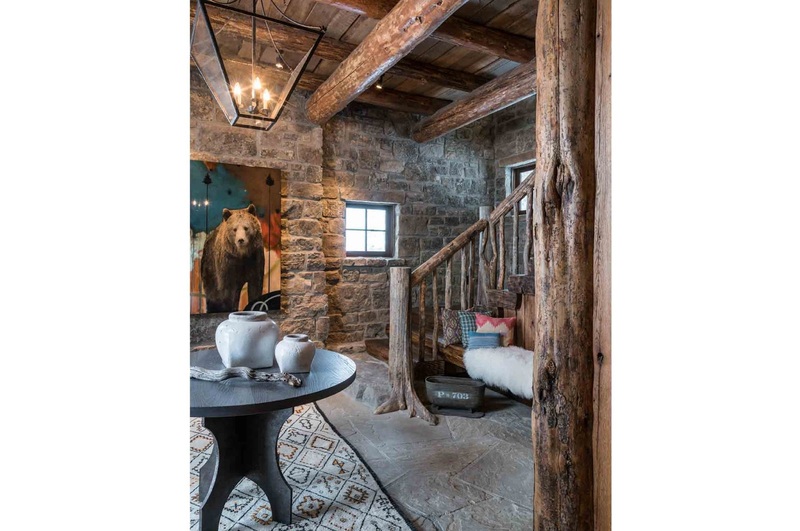 These set up a level of tension and excitement when placed amidst the natural elements of traditional stone and rustic log and stick trim. In the living room, below, the soft caramels and gray-blues are welcoming and comfortable in this room of hard surfaces. The plush blue velvet on the armchairs and sofa toss pillows is a particularly appealing fabric. The modern shapes of the arm chairs and the luxe aspect of the velvet would be very at home in a sophisticated urban apartment and yet the leather sleeves on the arms of the armchairs take them back home to the mountains. Sophistication contrasts with rustic. 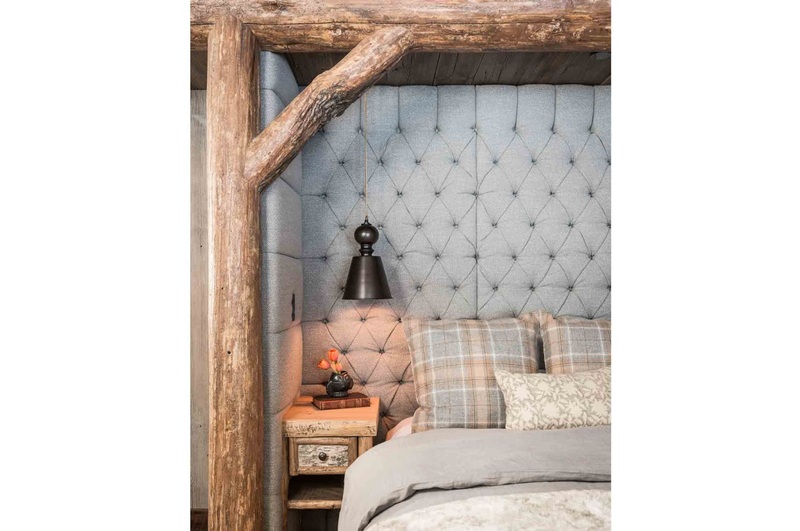 I love the wool plaid reference here on the single pillow. It salutes tradition without screaming lumberjack. Contrast: The tradition of plaid fabrics in soft colors and a large modern scale. The living room's plush area rug repeats the shapes, colors and patterns seen in the stonework on the fireplace but the rustic texture gives the room a soft natural appeal. 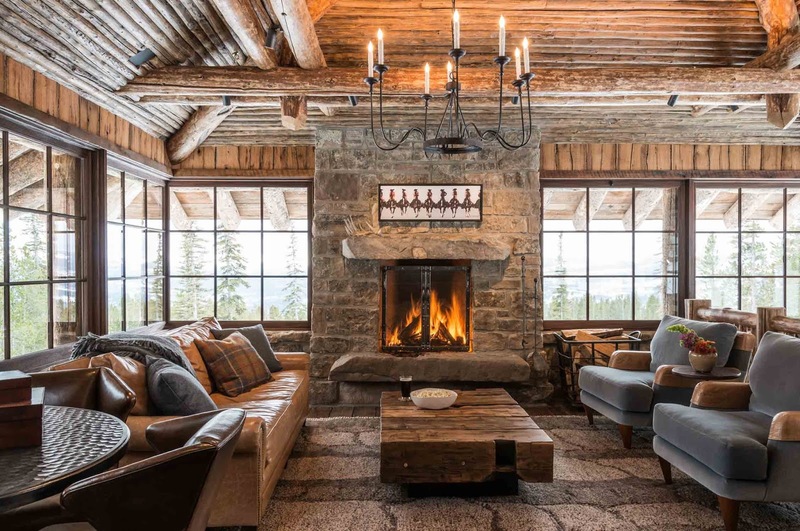 The carpet, the big wood slab coffee table, the huge stone mantle and hearth and the leather furnishings all have a heaviness that settles deeply into the floor. However, that is all contrasted by the light and airy elements of the wrap around windows. 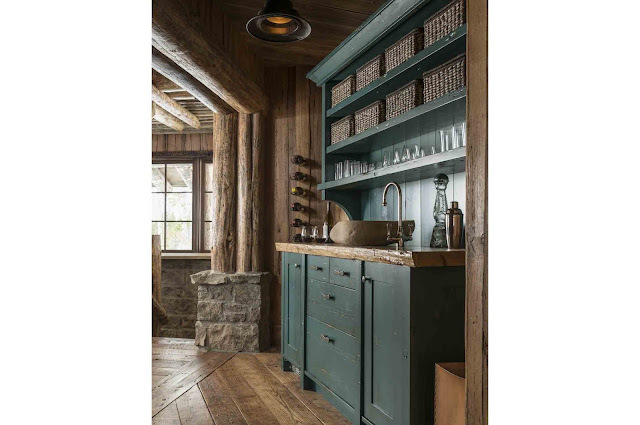 Above, I really like how the quiet dark paint on the cabinets juxtaposes with all the movement and texture seen in each piece of wood and stone. Here, simple and flat contrasts with complicated patina. In the bedroom below, the designer did a very smart thing in upholstering the bed niche. It creates a comfortable tailored retreat and a beautiful "cocoon" for sleeping and relaxing amidst all the rusticity. 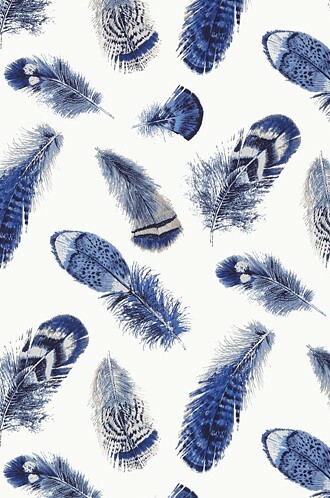 Again, there is a soft appeal to these fabrics and colors. 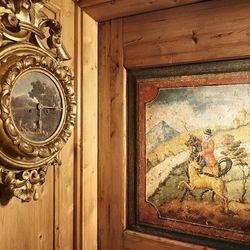 So often in mountain houses, people choose brown fabrics in dark muted shades. Why not let the contrast of lighter colors in fabrics with gentle touch appeal create living zones that beckon and support? 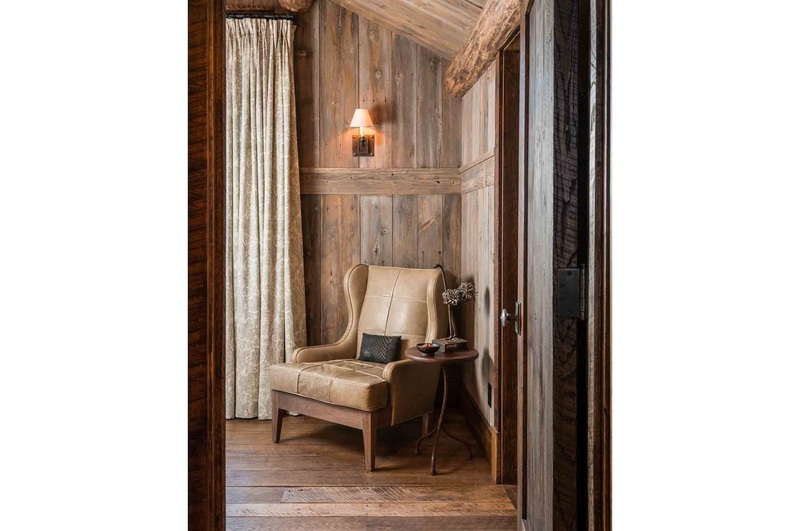 Above, beige, grey, taupe and cream are sophisticated, light and beautiful in this bathroom and yet, it settles perfectly within this heavily rusticated mountain retreat. I love curtains in mountain homes and you can see exactly why in the photos above and below. 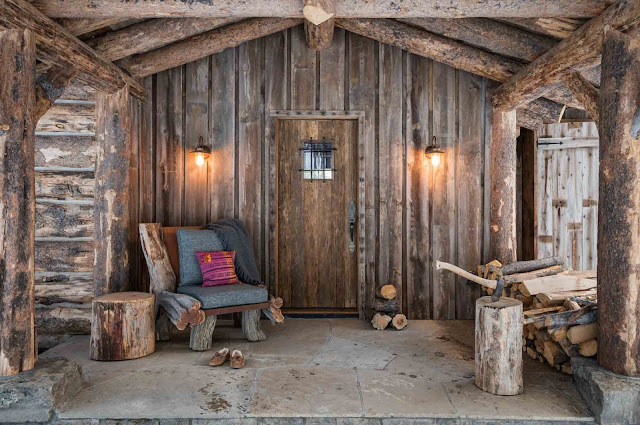 They add both a sophistication and softening element that most mountain homes badly need. In this room, the pretty curtains, the extra thick area rug and the upholstered bed nook contribute a human element amidst all the rugged textures of the rough-sawn reclaimed walls and ceiling, hand-hewn logs and old barn doors. This, to me is a skilled use of contrast in action. Even more sophistication and comfort are created with the addition of an elegant chandelier, the comfort of swing arm reading lights and dramatic candlesticks. Contrast: I particularly love the way the homespun natural linen bedspread is topped with a luxurious knit fur throw. Contrast: A modern painting hangs on old barn wood siding. Contrast: A monumental hand-made natural log chair is softened and sophisticated with the addition of a few beautiful tailored cushions. 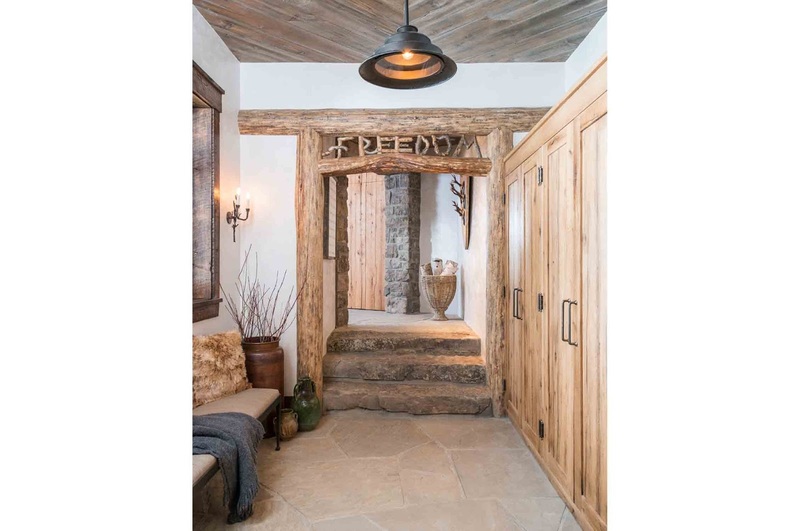 This beautiful mountain house could have been furnished in brown faux suedes and traditional furnishings, but in the experienced hands of a talented design group that knows how to expertly introduce contrast, it sparkles and sings.